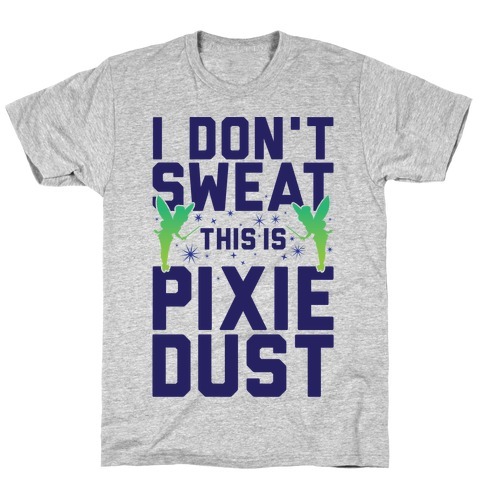 Browse our collection of 18 Dust T-Shirts and more. Designed and printed in the USA. 100% Satisfaction Guaranteed. About this Design There's no one tougher than you. Dust off those claws and get ready to use your beast to tear through the rest of the day. There's no one tougher than you. Dust off those claws and get ready to use your beast to tear through the rest of the day. 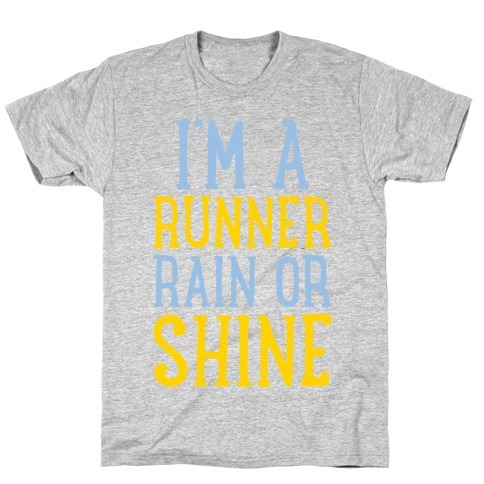 About this Design Rain or shine, my run is mine. When it's just me and the trails, a sense of calm fulfillment washes over my soul (and my soles). 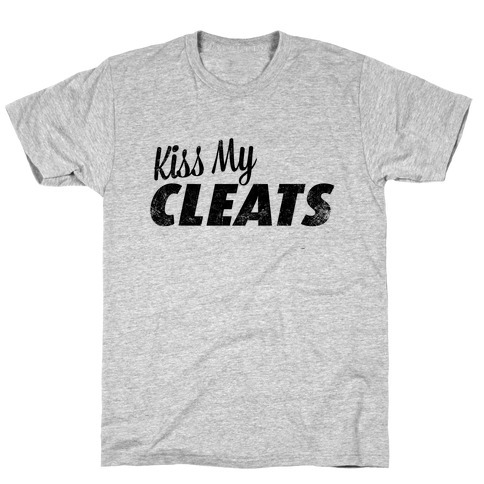 Whether you're at the gym or running around the great outdoors, grab this inspirational fitness shirt, and kick up some dust. Rain or shine, my run is mine. When it's just me and the trails, a sense of calm fulfillment washes over my soul (and my soles). 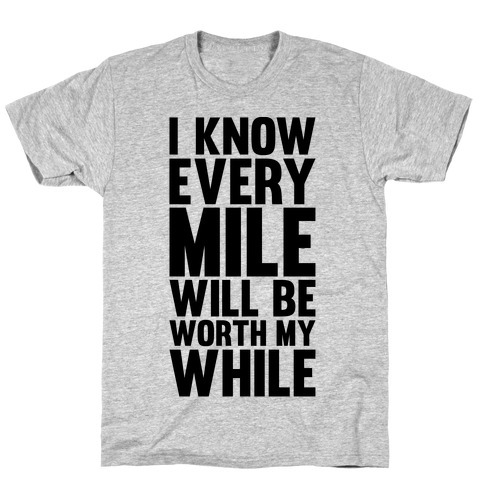 Whether you're at the gym or running around the great outdoors, grab this inspirational fitness shirt, and kick up some dust. About this Design You tired, you're achy, and you don't think you can take another damn step- and yet, you don't regret any of it, not even a little bit. You're made of stronger stuff as you hit the trails (or the treadmill at the gym), so let everyone else know it. 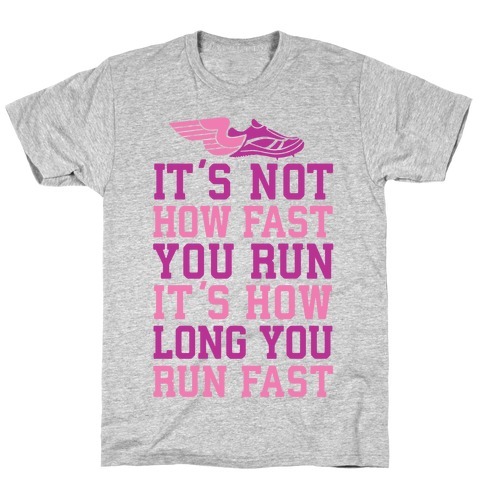 Grab this fierce fitness shirt and kick up some dust. You tired, you're achy, and you don't think you can take another damn step- and yet, you don't regret any of it, not even a little bit. You're made of stronger stuff as you hit the trails (or the treadmill at the gym), so let everyone else know it. 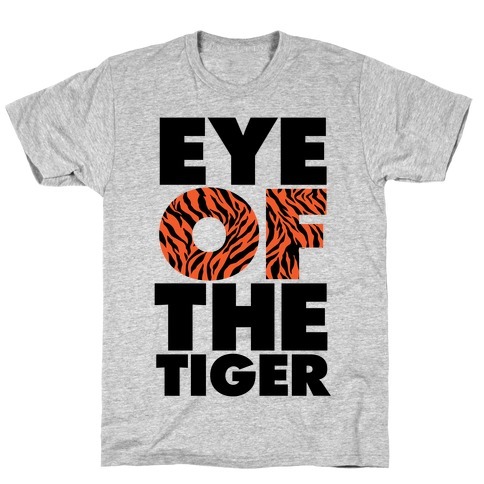 Grab this fierce fitness shirt and kick up some dust. About this Design Listen, I don't care if you made the Kessel Run in under 12 paresecs. 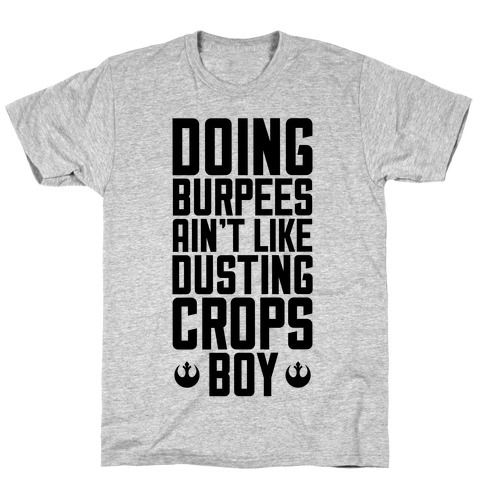 Burpees are sersious business. One mistake, and you could burp right into a black hole- which is a less-than-savory visual. Grab this nerdy fitness shirt and hit the gym showing off your love for that geeky sci-fi classic, Star Wars. About this Design Quit your yammering and get to hammering. Dust off those hands and finish your set, and emerge as the sick swole beast you are. Quit your yammering and get to hammering. Dust off those hands and finish your set, and emerge as the sick swole beast you are. 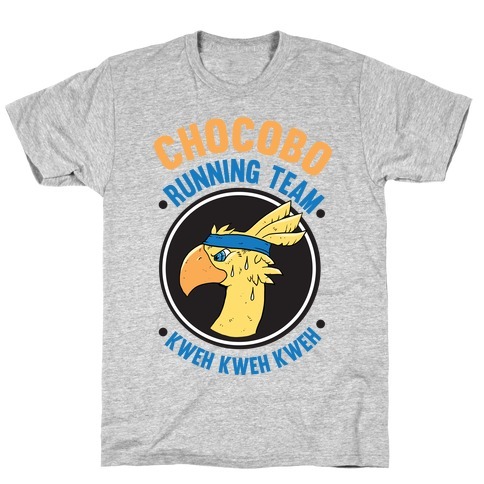 About this Design Chocobo Running Team! A healthy young Chocobo can run over 20 MPH. As you pass all of the other runners out there, they will only hear "Kweh, Kweh, Kweh" as you leave them in the dust! Chocobo Running Team! A healthy young Chocobo can run over 20 MPH. As you pass all of the other runners out there, they will only hear "Kweh, Kweh, Kweh" as you leave them in the dust! About this Design You're in it for the long run, so dig deep and keep running. Go the extra mile, and remember- in fitness, there ain't no finish line, so you gotta enjoy the race. Whether you're at the gym or on the trails, grab this motivational cardio design and kick up some dust. About this Design Yeah, go ahead and put me down for cardio. Let's kick up some dust. 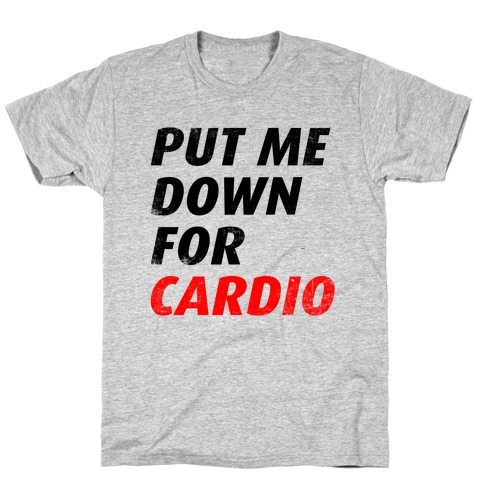 Yeah, go ahead and put me down for cardio. Let's kick up some dust. About this Design ...And no, I don't want to chat. Dude, what's your damage? I am RUNNING here. You know? Headphones in? This is not a primo opportunity to kick up some sweet conversation. 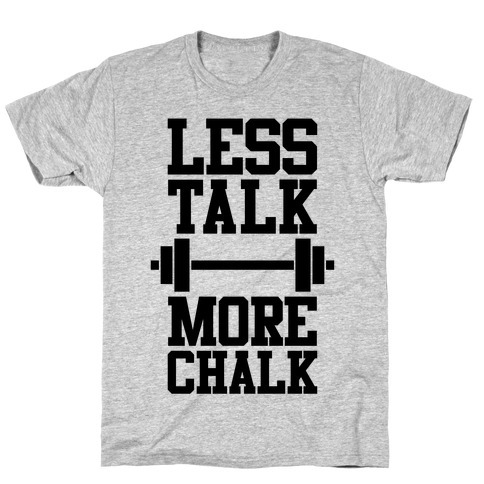 When you've had it up to here with the chumps trying to chat you up, grab this fierce fitness shirt and make them eat your dust. About this Design When you're out there, on the treadmill or on the trails, you don't have to run fast- you just have to run. The road ahead is yours to tread as fast or as slow as you like. Just as long as you're out there running, you're halfway there. 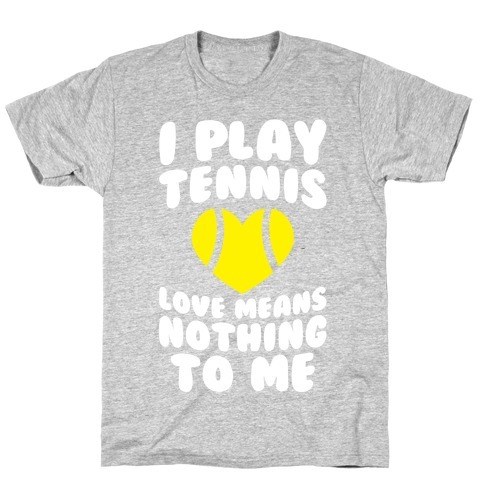 Grab this inspirational fitness shirt and kick up some dust. When you're out there, on the treadmill or on the trails, you don't have to run fast- you just have to run. The road ahead is yours to tread as fast or as slow as you like. Just as long as you're out there running, you're halfway there. 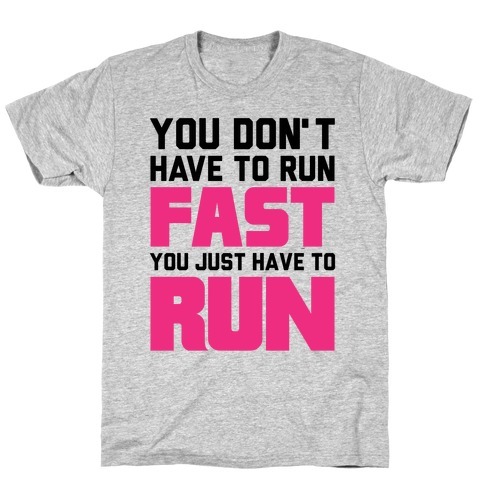 Grab this inspirational fitness shirt and kick up some dust. About this Design Please, pay no attention to the fleet-footed runner looking like a gazelle right after a car alarm went off. You may look like some awkward, jumpy animal, but who cares? It's unique, so you do you. Anyone who looks normal while running hasn't been running hard enough, anyway. 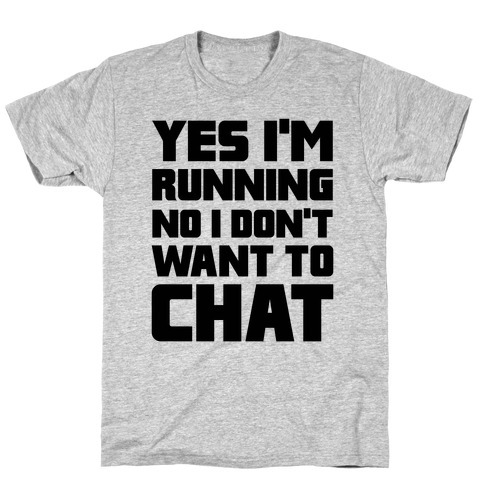 Whether you're on the treadmill or on the trails, grab this ironic fitness shirt today and kick up some dust! Please, pay no attention to the fleet-footed runner looking like a gazelle right after a car alarm went off. You may look like some awkward, jumpy animal, but who cares? It's unique, so you do you. Anyone who looks normal while running hasn't been running hard enough, anyway. 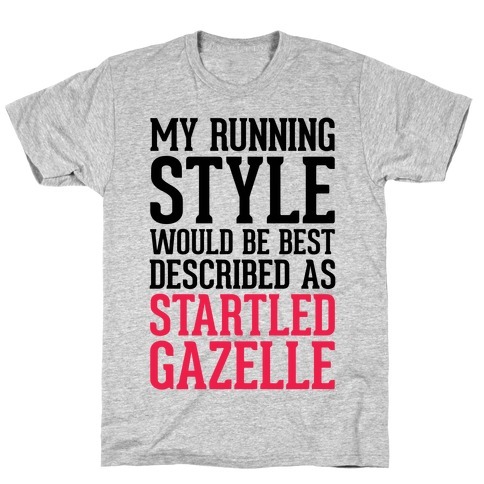 Whether you're on the treadmill or on the trails, grab this ironic fitness shirt today and kick up some dust! 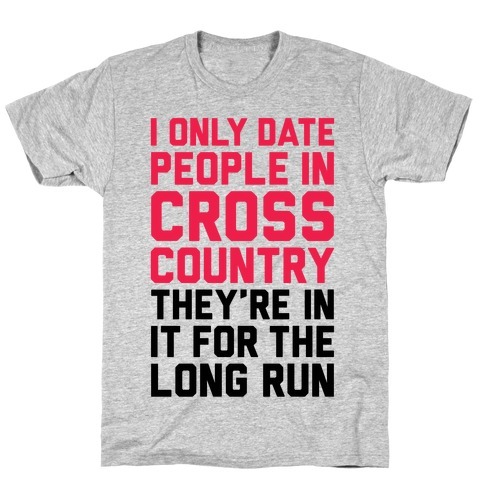 About this Design True cross-country runners know this rule (Sprinters do not!). Distance running is a matter of sheer determination, and you got it! Who says cardio is easy? Not anyone who ever tried this--leave them to eat your dust. True cross-country runners know this rule (Sprinters do not!). Distance running is a matter of sheer determination, and you got it! Who says cardio is easy? Not anyone who ever tried this--leave them to eat your dust. 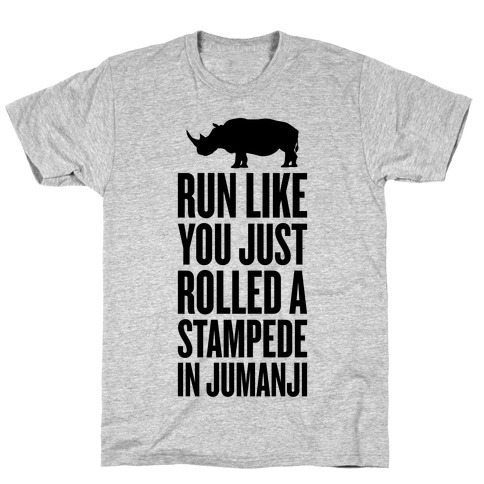 About this Design You don't need Robin Williams yelling to get you to beat feet and kick up some dust before some stampeding rhinos charge in and flatten you like a pancake. Jumanji's a tough game! And when you hear those hooves approaching, don't be fooled by the thunder (because standing still would be a blunder). 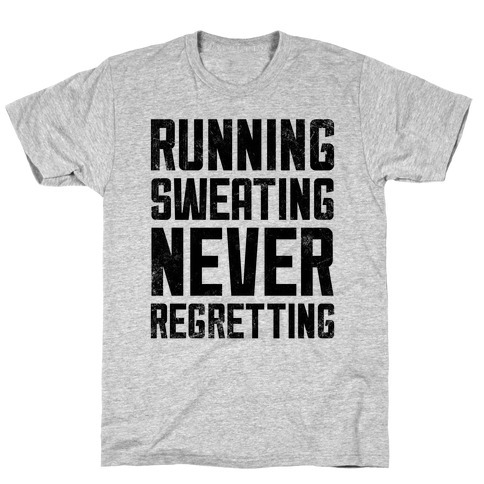 Grab this nostalgic fitness shirt today and get to running. Don't look back! You don't need Robin Williams yelling to get you to beat feet and kick up some dust before some stampeding rhinos charge in and flatten you like a pancake. Jumanji's a tough game! And when you hear those hooves approaching, don't be fooled by the thunder (because standing still would be a blunder). 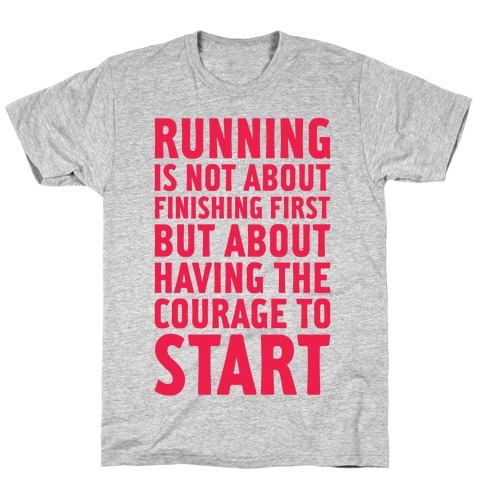 Grab this nostalgic fitness shirt today and get to running. Don't look back!